« Non-linear Video Editing in Ubuntu Linux – What tools to use and how to do it! 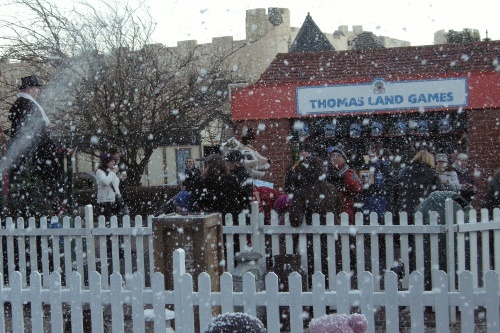 Thomas Land is the new attraction at Drayton Manor Theme Park which opened during 2008. 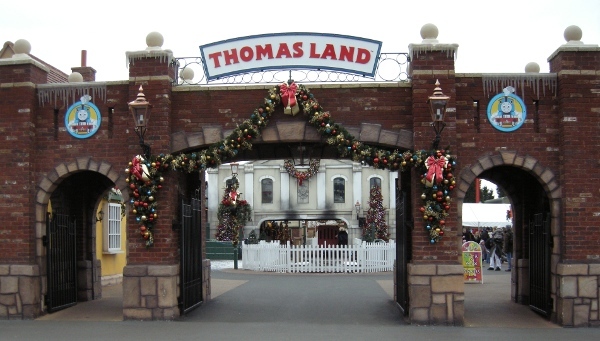 Thomas Land consists of over a dozen rides based on the Thomas the Tank Engine and friends characters. Some of these are completely new themed rides, but others are just existing rides with Thomas the Tank Engine branding such as Vintage Cars renamed Sodor Cars and a roller coaster converted to a Troublesome trucks ride. The main attraction is a railway station with Thomas and Percy trains that shuttle passengers to the other end of the park at the back of the zoo. I have visited twice. The first was a normal day when the rest of the park was open, the second was a Christmas special at time that the rest of the park was closed. My only complaint is the cost of the visit when the rest of the park is open. The reason for this is that Drayton Manor is a large theme park and therefore the price is set the same for all visitors to the site. If you go on some of the other rides then this is reasonable value, but if you just go to Thomas Land then it is very expensive. There are ways to get better price by visiting on the out-of-season events where only Thomas land is open or by taking a toddler mid-week during term time where it is normally available at a special price (check with Theme Park for details before travelling). Facilities are good, with dedicated baby changing, and a coffee shop / cafe within the Thomas Land area. There are also additional cafes and fast food outlets elsewhere in the park. The rides are good providing for young and older children and the queues are generally quite short. The rest of the park has all manor of different rides including some large roller coasters, water based rides and big top circus. On the Christmas special the rest of the park was closed, but the circus tent was used to host a Christmas show based around an ice ring and including some high flying stunts. 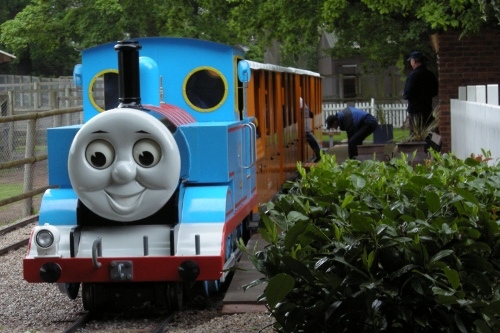 The visits have been a great hit with the kids definitely worth visiting if you children like Thomas the Tank Engine. This entry was posted on Sunday, January 25th, 2009 and is filed under Babies, Children, Tourism. You can follow any responses to this entry through the RSS 2.0 feed. Both comments and pings are currently closed. Also see Thomas Land Photo Gallery.